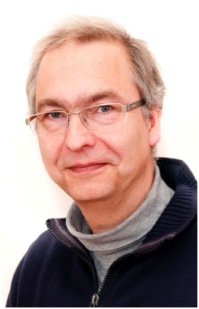 Dr. Klaus H. Schmidt is an associate professor of American Studies at the University of Mainz, School of Translation Science, Linguistics, and Cultural Studies in Germersheim. He received an M.A. in Translation Studies (1988) and a Ph.D. in American Studies (1994) from the University of Mainz in Germersheim. He has been teaching courses and seminars in American literature, language, and culture, as well as translation classes and seminars in translation theory since 1989. His research interests include African American literature, early American culture, and American Naturalism. He is also a translator and an editor of literary texts and books on chess theory. —, Rev. of Theodore Dreiser Recalled, ed. Donald Pizer (Clemson: Clemson UP, 2017). Studies in American Naturalism 13.1 (Summer 2018): 95-102. Ernst, Jutta, Sabina Matter-Seibel, and —, eds. Revisionist Approaches to American Realism and Naturalism. American Studies – A Monograph Series 284. Heidelberg: Winter, 2018. —, guest expert. "SWR2 Wissen: Arthur Miller – Kritiker des American Way of Life," by Anna Dorothea Schneider. Interview. Recorded on March 17, 2015. Broadcast on October 8, 2015. —. Rev. of Stories of Survival: John Edgar Wideman’s Representations of History, by Ulrich Eschborn (MOSAIC 42. Trier: WVT, 2011). Amerikastudien / American Studies 58.1 (2013): 168-71. —, and Ulrike E. Köstler, trans. Joe Bageant. Auf Rehwildjagd mit Jesus: Meldungen aus dem amerikanischen Klassenkampf. Mainz: VAT, 2012. Bardeleben, Renate von, Sabina Matter-Seibel, and —, eds. American Multiculturalism and Ethnic Survival. Mainzer Studien zur Amerikanistik 59. Frankfurt: Lang, 2012. —, trans. Richard Palliser, Glenn Flear, and Jelena Dembo. Gefährliche Waffen – Königsindisch. Everyman Chess Series. London: Everyman Chess, 2010. —, ed. Renate von Bardeleben. Engaging Dreiser. American Studies – A Monograph Series 192. Heidelberg: Winter, 2010. —. Rev. of Sisters in Sin: Brothel Drama in America, 1900-1920, by Katie N. Johnson (Cambridge: Cambridge UP, 2006). Amerikastudien / American Studies 54.2 (2009): 258-62. —. "William Hill Brown, Biogramm"; "William Hill Brown, The Power of Sympathy"; "Stephen Crane, 'The Open Boat'"; "Arthur Miller, Timebends"; "William Gilmore Simms, Biogramm"; "William Gilmore Simms, The Yemassee"; "William Gilmore Simms, The Sword and the Distaff"; "Tabitha Tenney, Biogramm"; "Tabitha Tenney, Female Quixotism." Kindlers Literatur Lexikon. 3. Auflage. Hrsg. Heinz Ludwig Arnold. 18 vols. Stuttgart: Metzler, 2009. 3: 226-27; 4: 261; 11: 294-95; 15: 167-69; 16: 156-57.